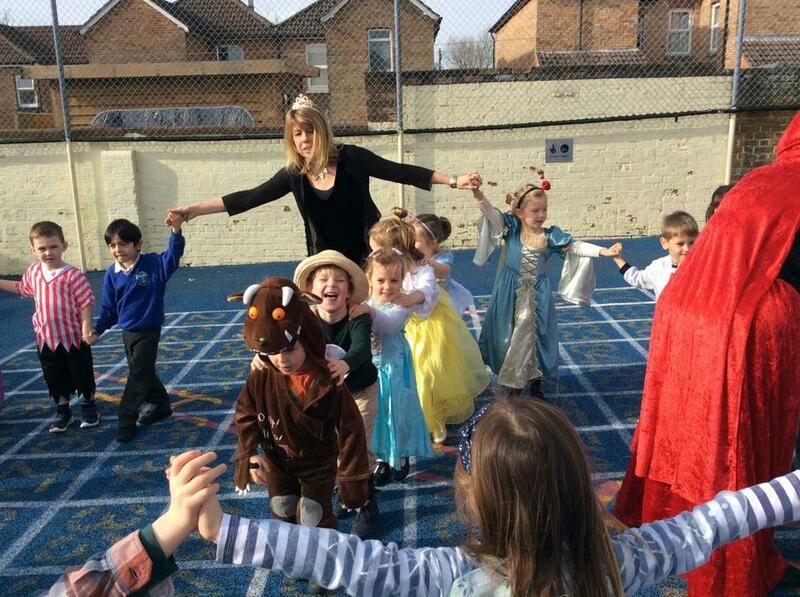 The Foundation children have loved our topic ‘When I Grow Up I Want To Be…' which has been hugely inspiring for us all! 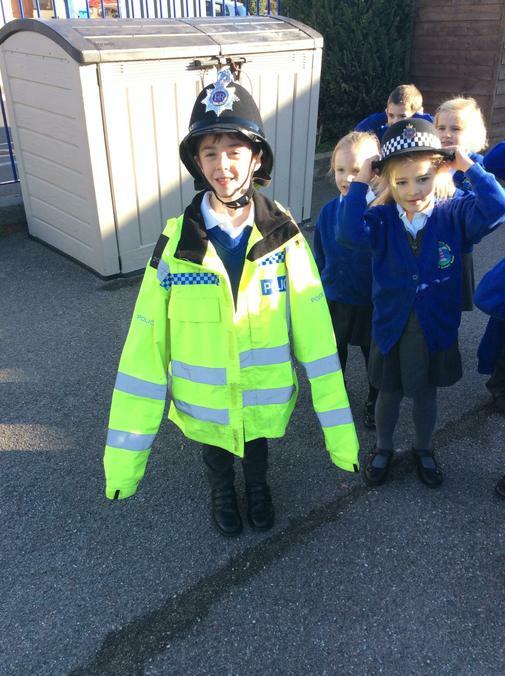 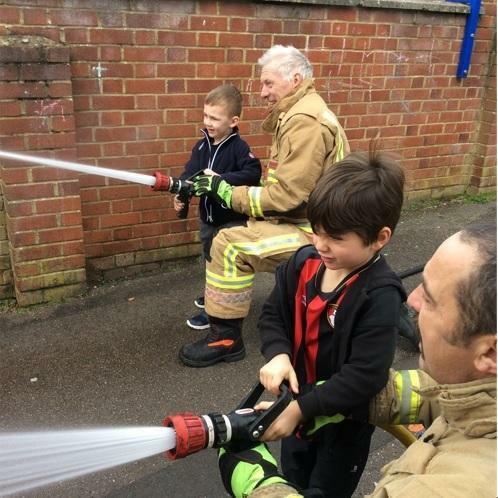 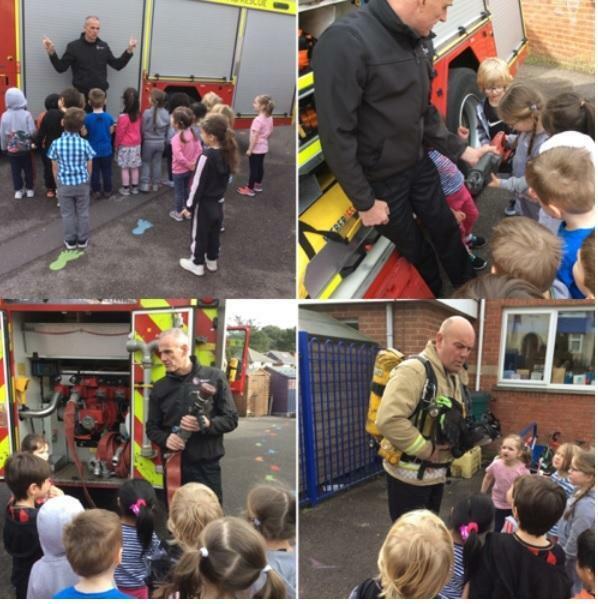 They have enjoyed meeting adults with a range of jobs and learning about different professions and skills. 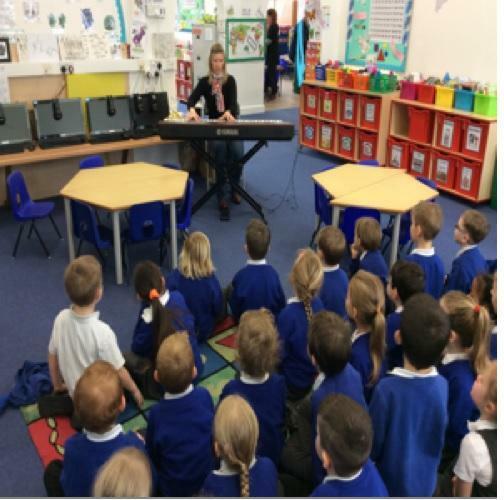 The children have produced amazing writing based on what they have learnt and the experiences they have been part of. 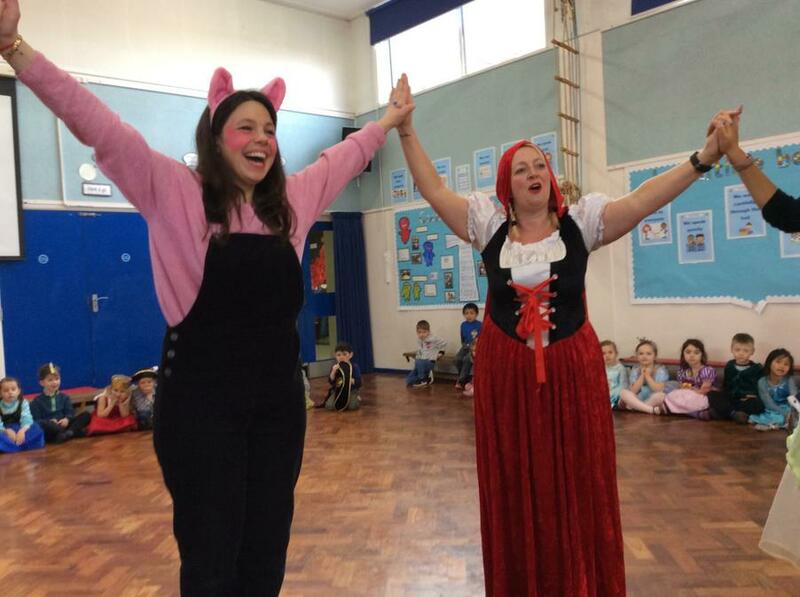 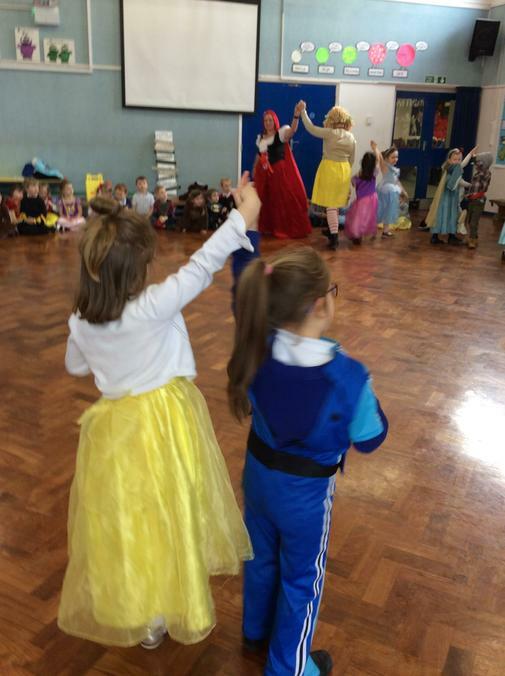 The children had a fantastic time dressing up as their favourite fairy tale characters and enjoyed completing activities related to all the different traditional stories we have looked at so far. 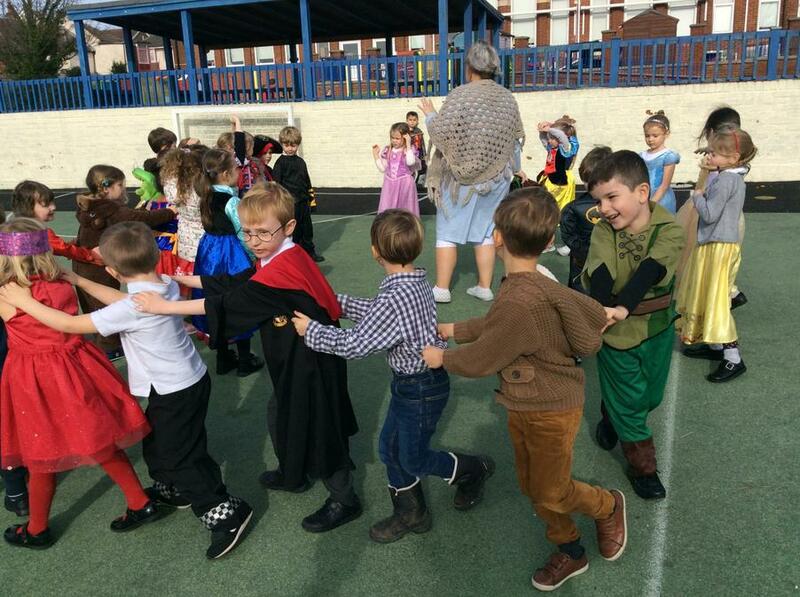 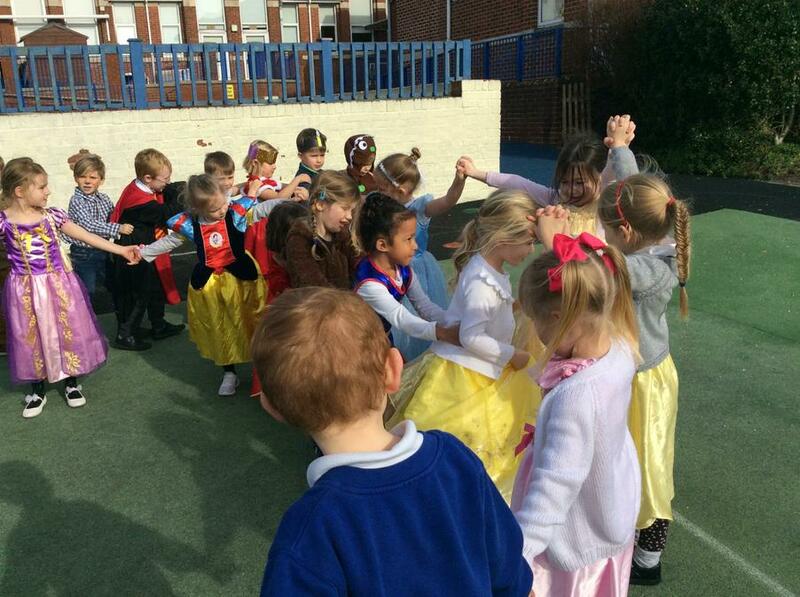 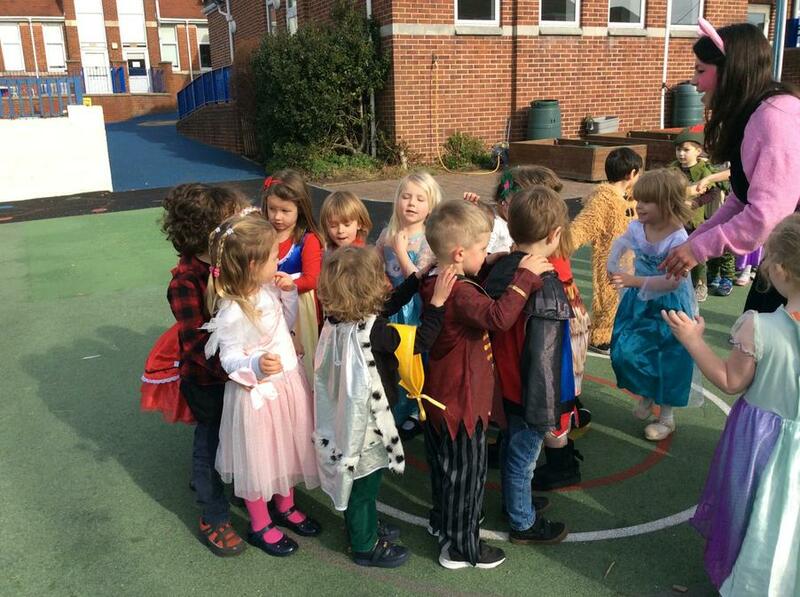 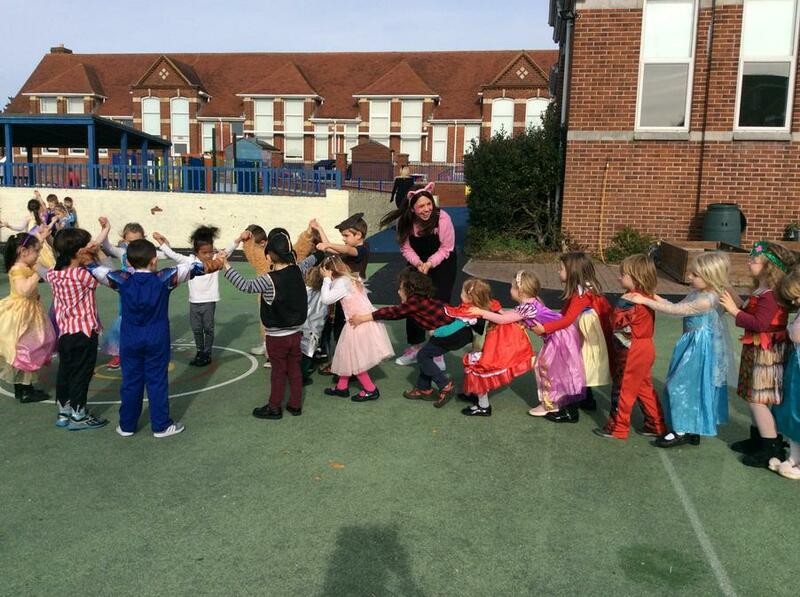 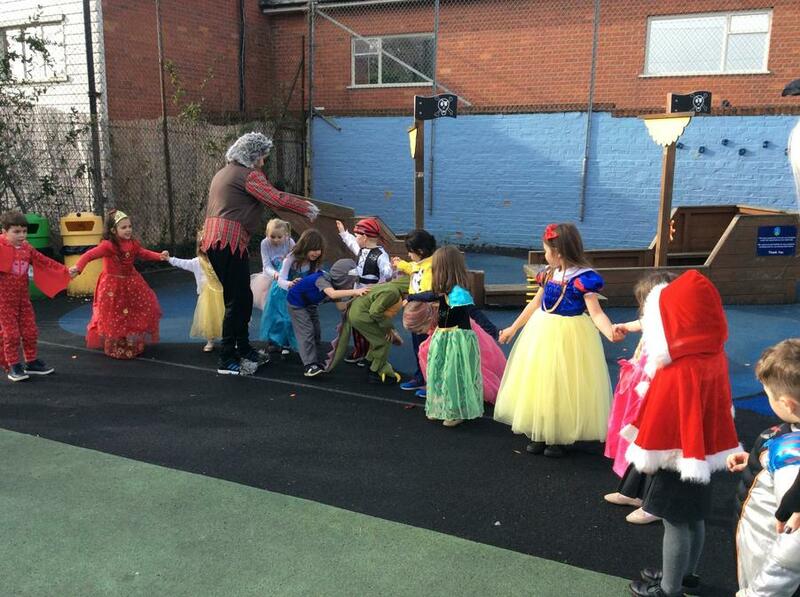 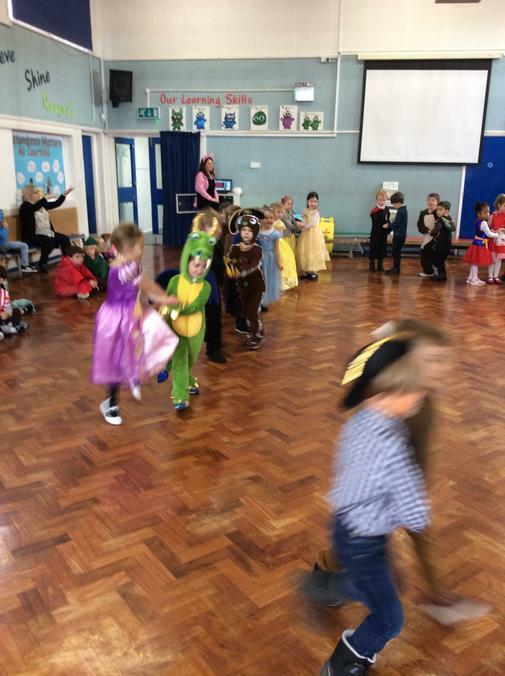 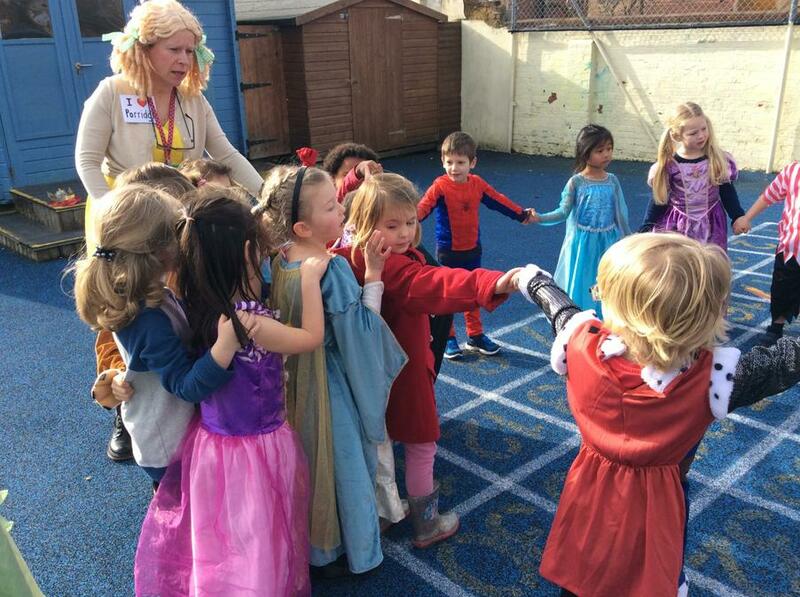 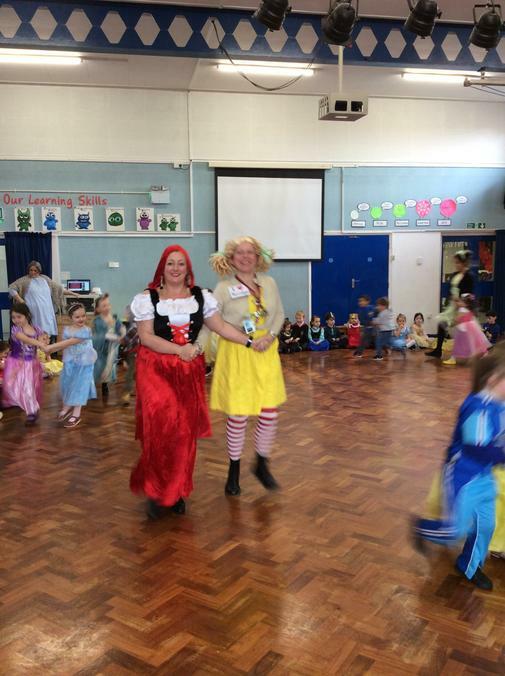 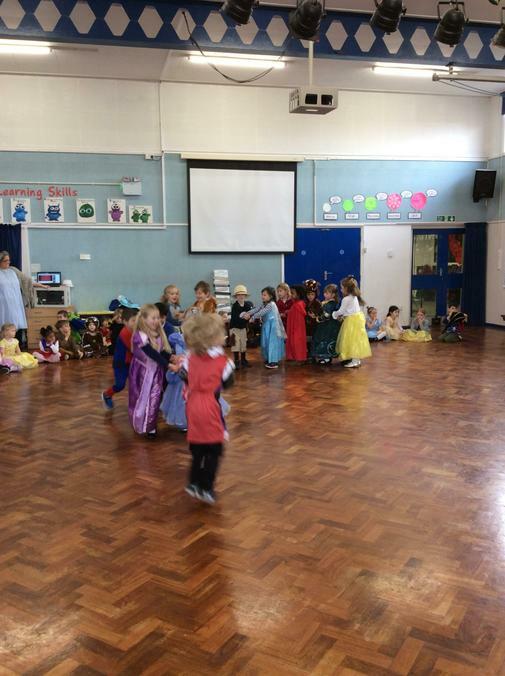 The children also had a great time attending a fairy tale ball, where each class took it in turn to perform a dance. 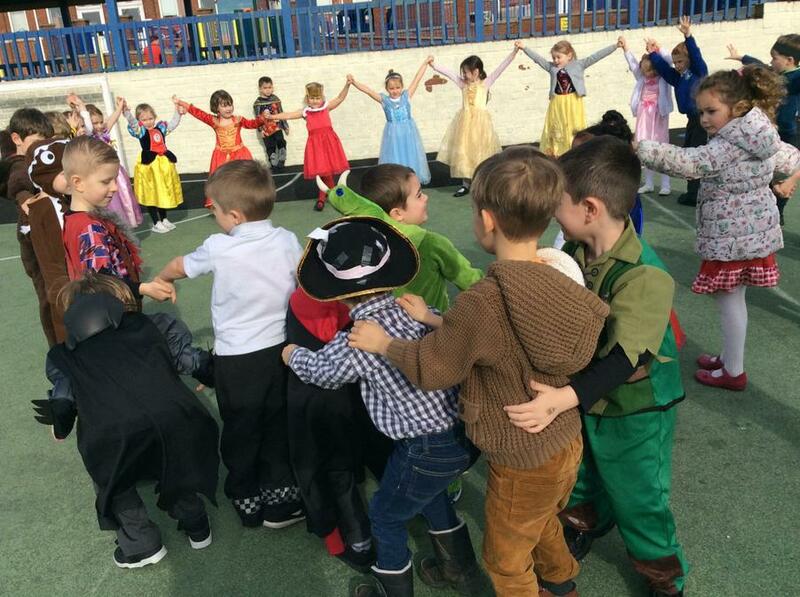 They then went outside and played a game of 'in and out the dusty bluebells' the sound of laughter and look of enjoyment on the children's faces was a delight! 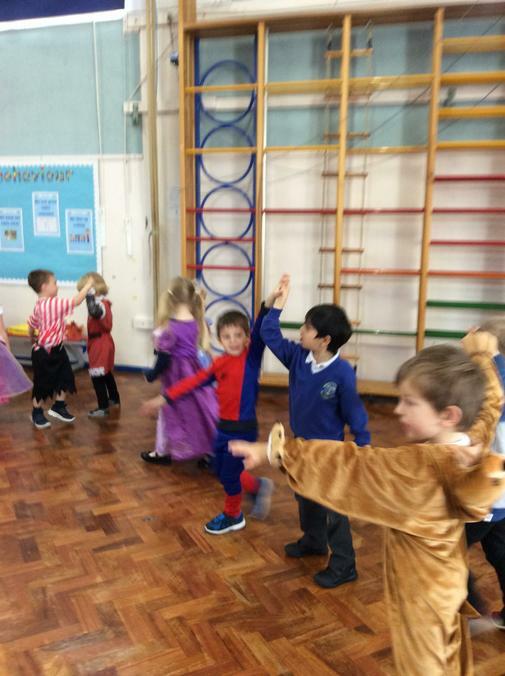 Run, run, as fast as you can, you can’t catch me I’m the Gingerbread Man….. 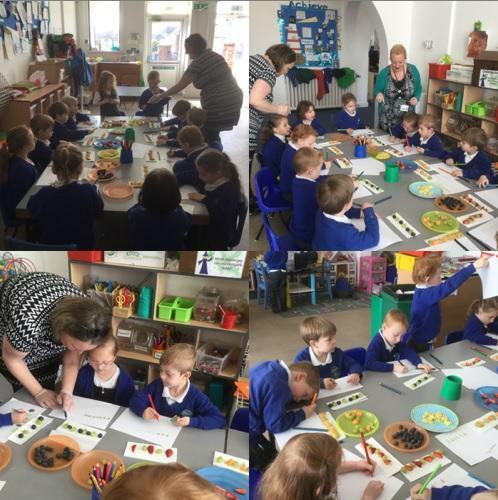 The children have loved learning about ‘The Gingerbread Man’ this week. 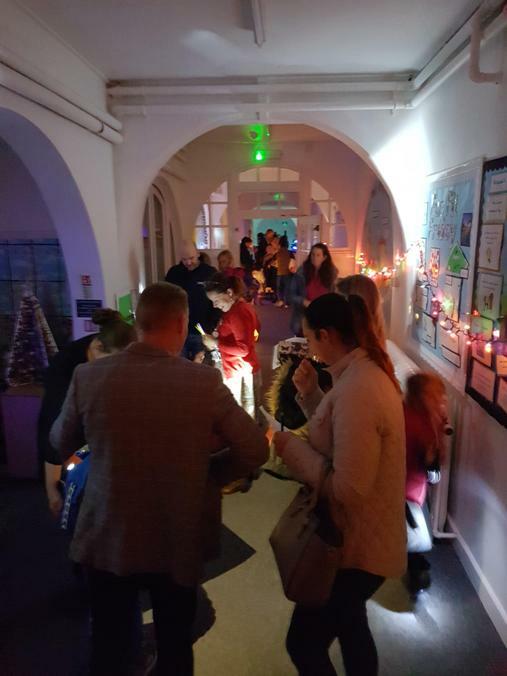 On Monday the children arrived to school to find a note and whole box of gingerbread men telling them they could eat them on Thursday. 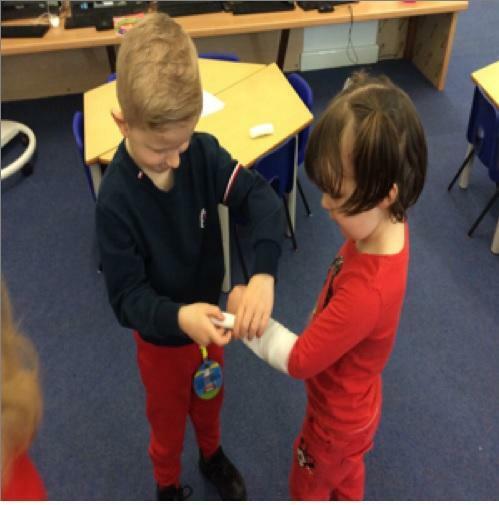 The children waited in anticipation and on Thursday opened the box to find the biscuits missing!! 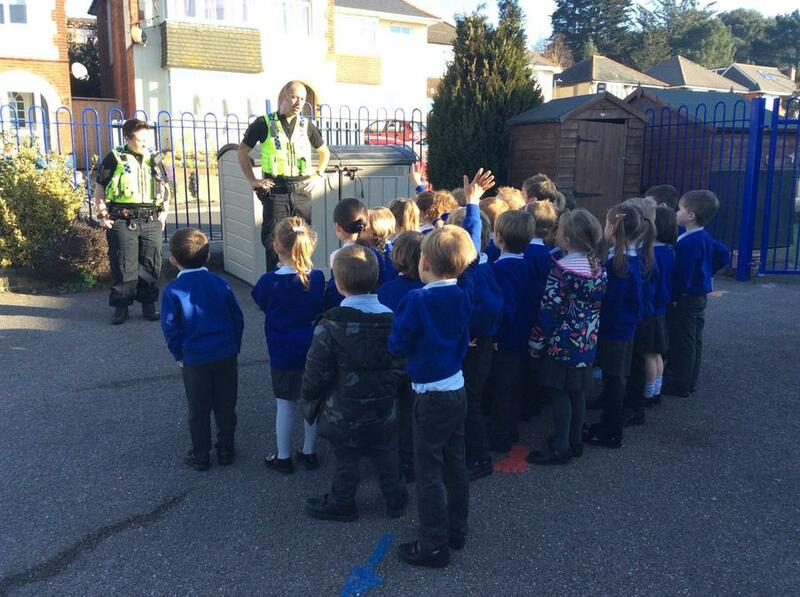 After becoming detectives and watching the school CCTV camera footage, they found out the biscuits had actually run away. 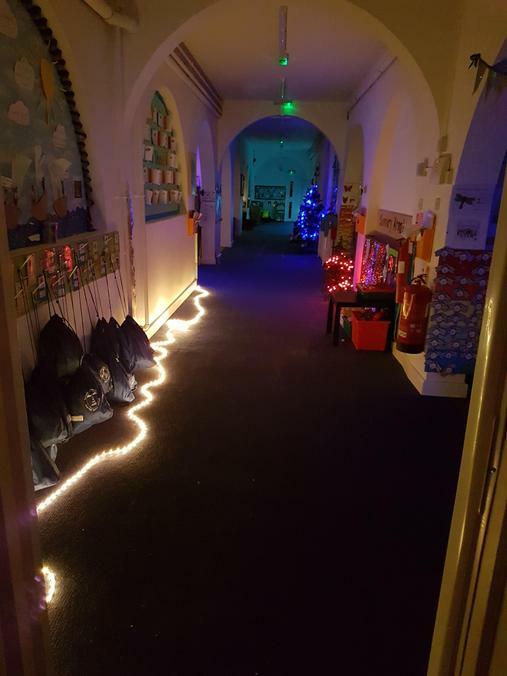 That day the children left imaginative traps and wrote letters to the gingerbread men in excitement, hoping they would return. 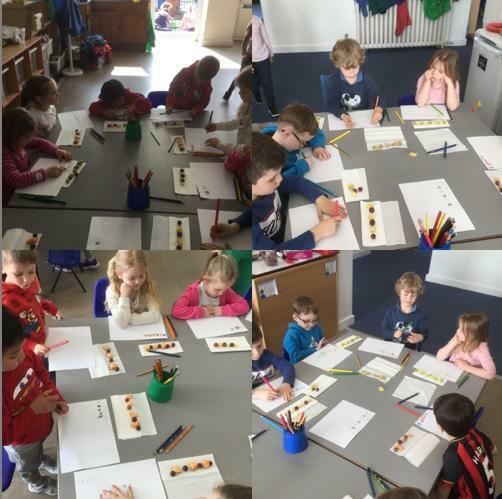 On Friday the children checked the boxes again and much to their surprise, the biscuits had returned! 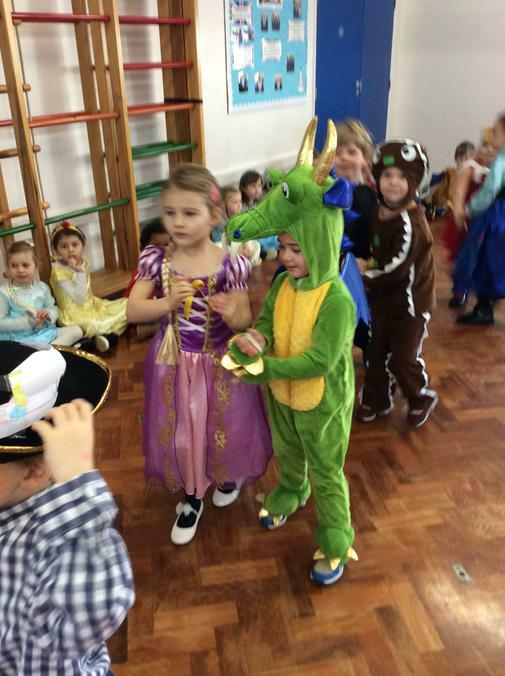 They made sure to eat them this time in case they decided to run away again. 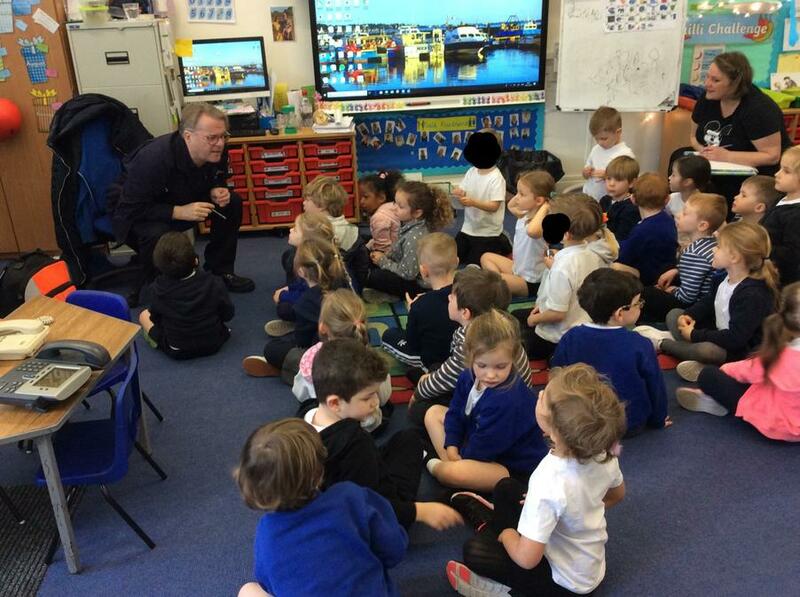 Please see our classroom CCTV video below! 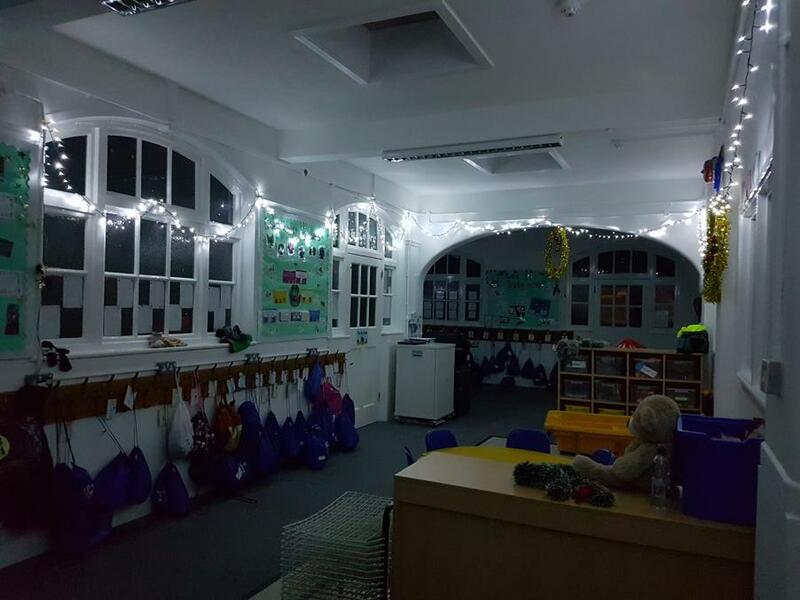 Today the children were very surprised to find their classrooms had been transformed in to a spooky woodland scene. 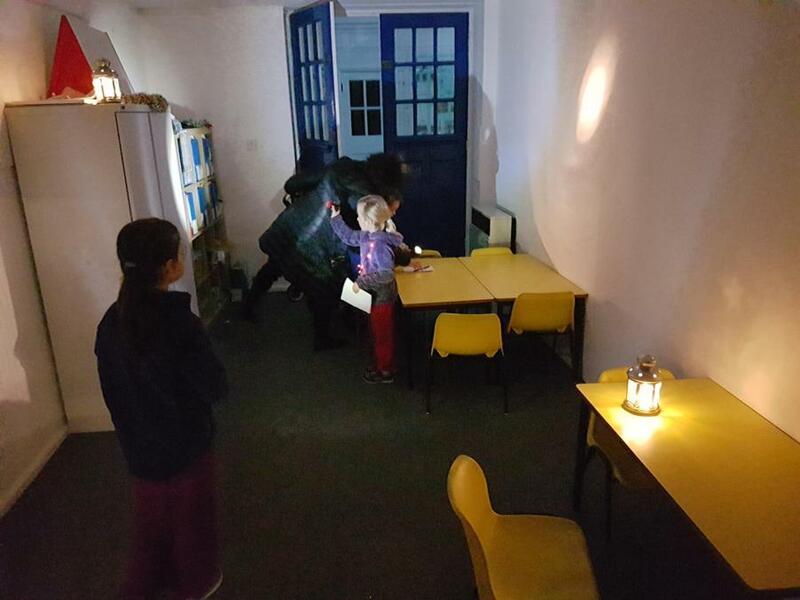 The rooms were plummeted into darkness and the children could hear mysterious animal and howling wind noises. 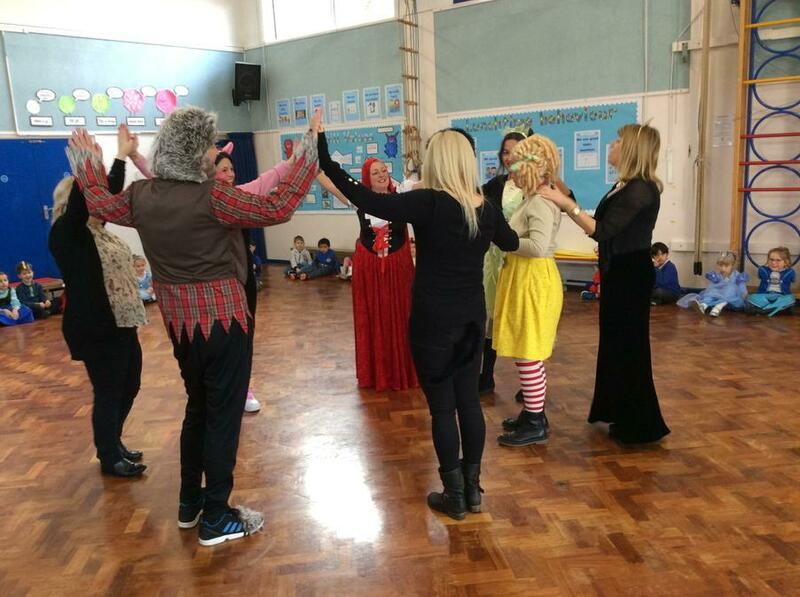 After a little detective work, the children worked out that the story they are focusing on this week is ‘Little Red Riding Hood’. 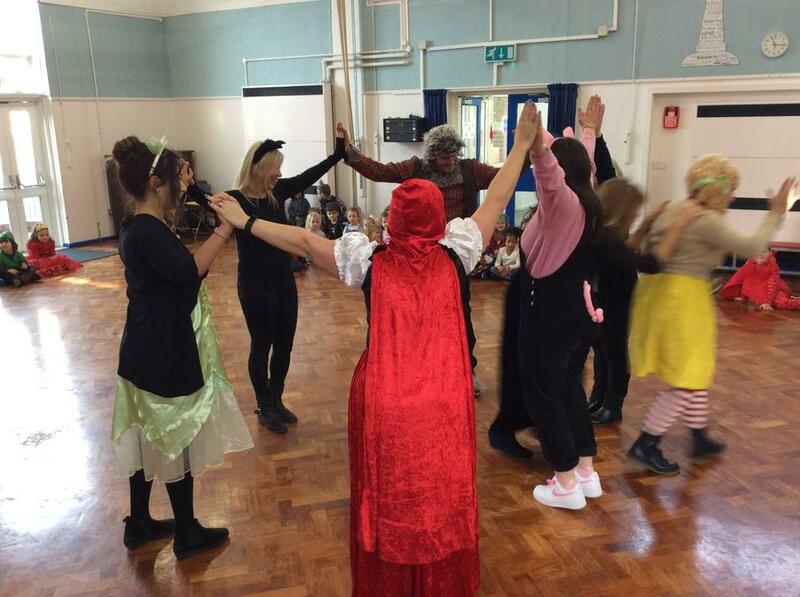 They said the biggest clue was the red ribbon, cloak and picnic basket found on the floor! 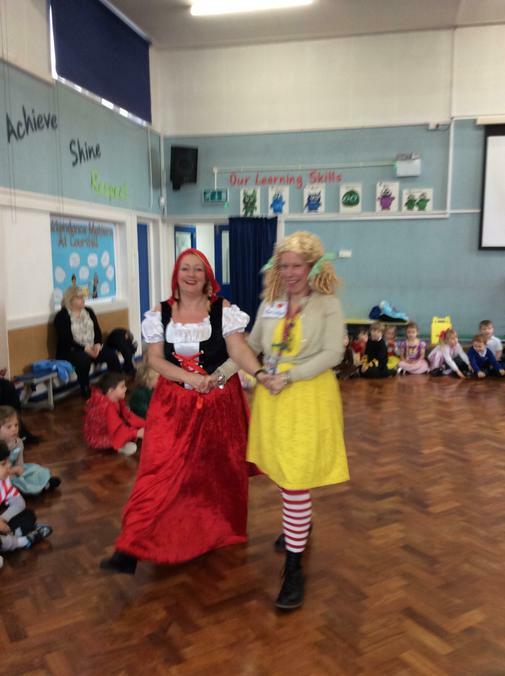 The children have enjoyed writing warning messages to Little Red telling her not to enter the woods!! 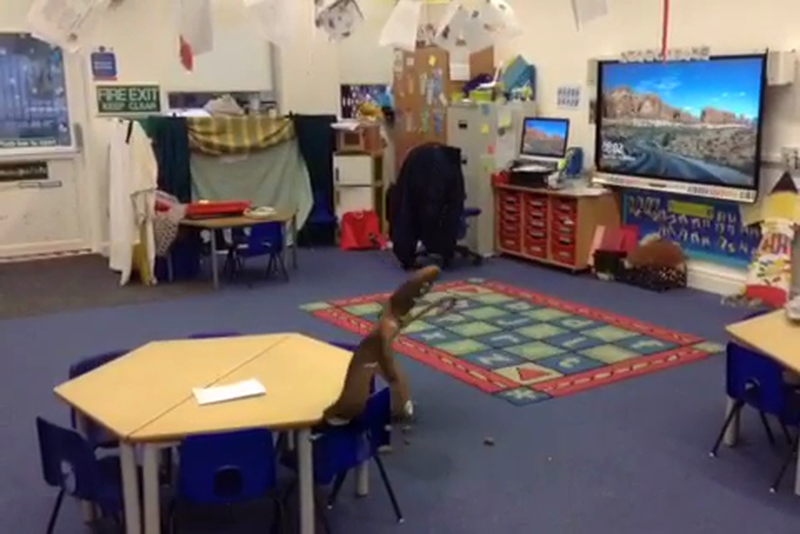 The children arrived to school this morning to find lots of mysterious hay spread around the classroom. 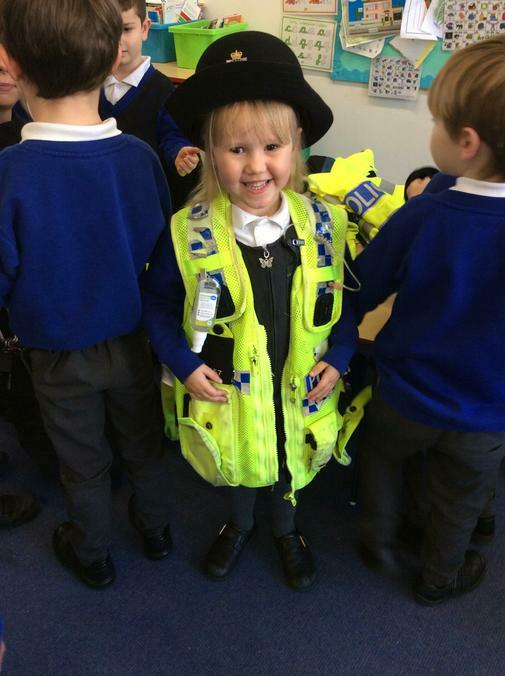 They were keen to become detectives and work out who was responsible for making such a mess!! 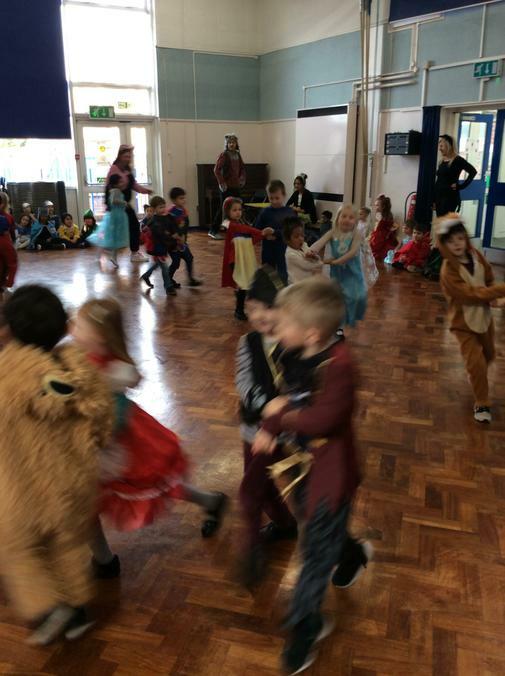 After a few clues the children decided it had to be 'The Big Bad Wolf' from the traditional tale 'The Three Little Pigs'. 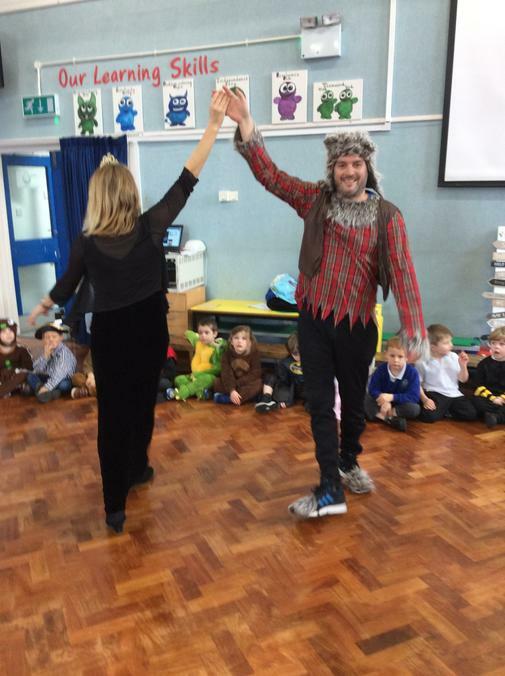 This mischievous act by the nasty wolf has helped spark the children's interest in our new topic 'Once Upon a Time...' Let's wait and see who might turn up next week! 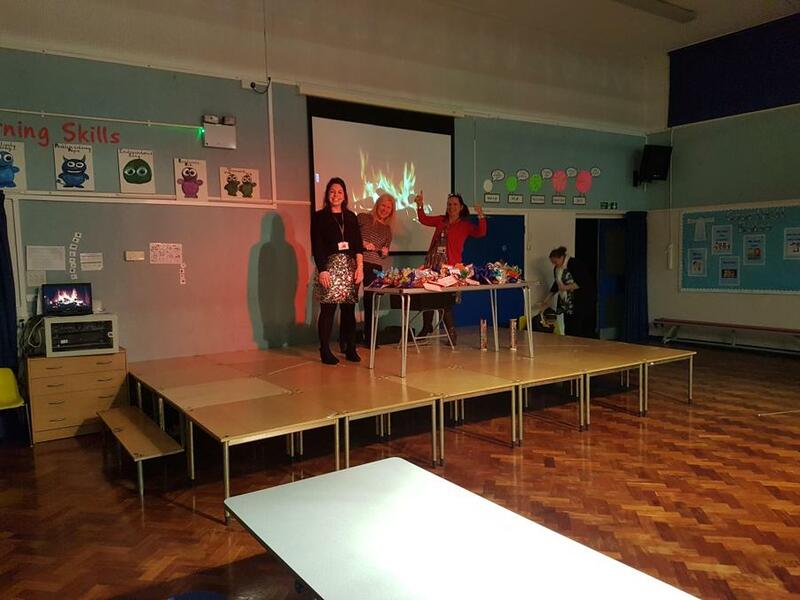 Once upon a time there was an old school full of excited children happy to be back from their Christmas break. 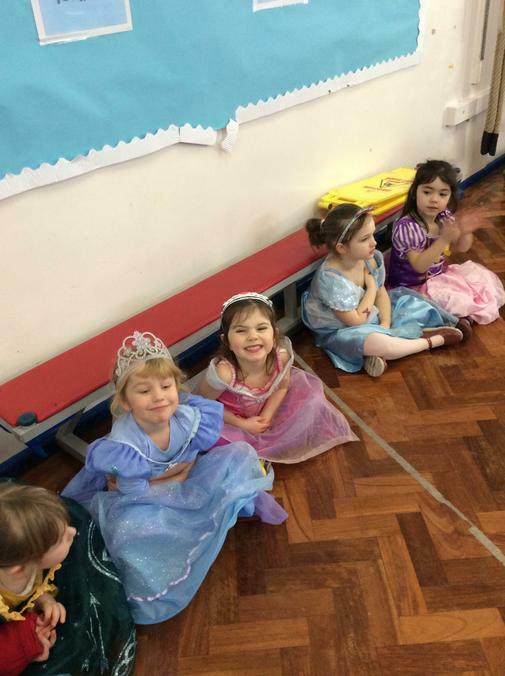 They waited patiently for some kind family members to come and read them tales from long ago. 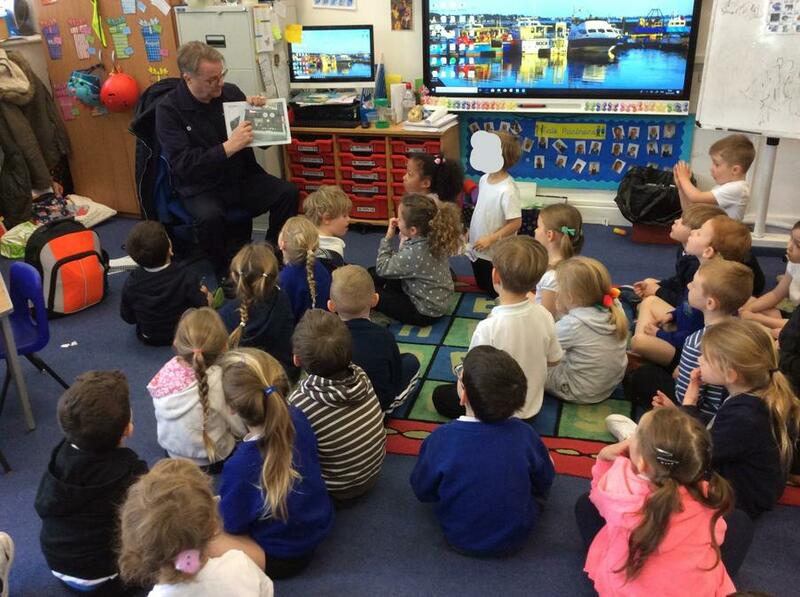 The children were not disappointed and listened with glee at the different stories available to them. 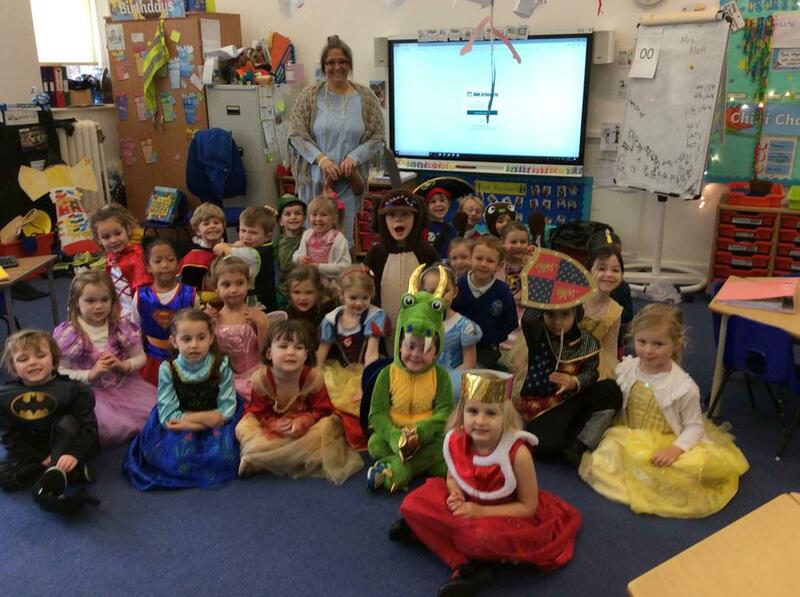 Thank you to all the amazing story tellers for coming in and celebrating our 'Once Upon a Time' Sparkly Starter. 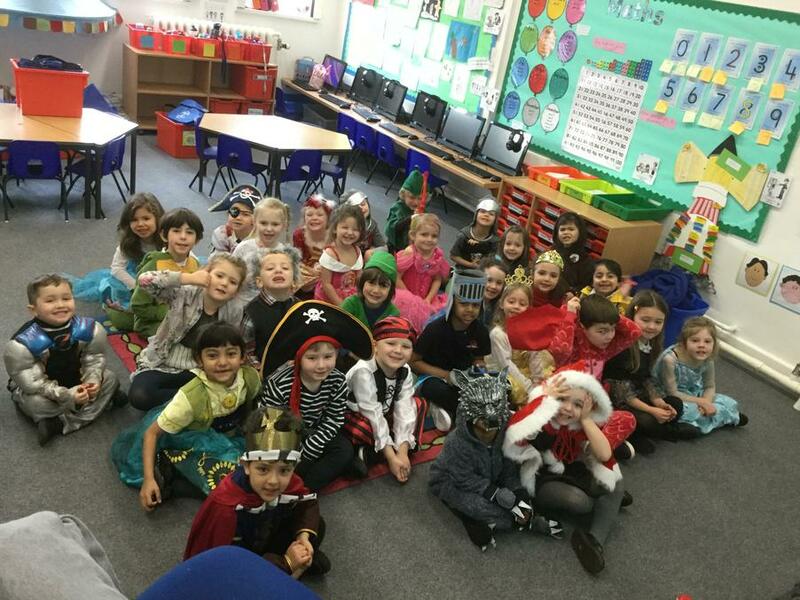 This week the Foundation children were surprised to find four visitors from the North Pole in their classrooms. 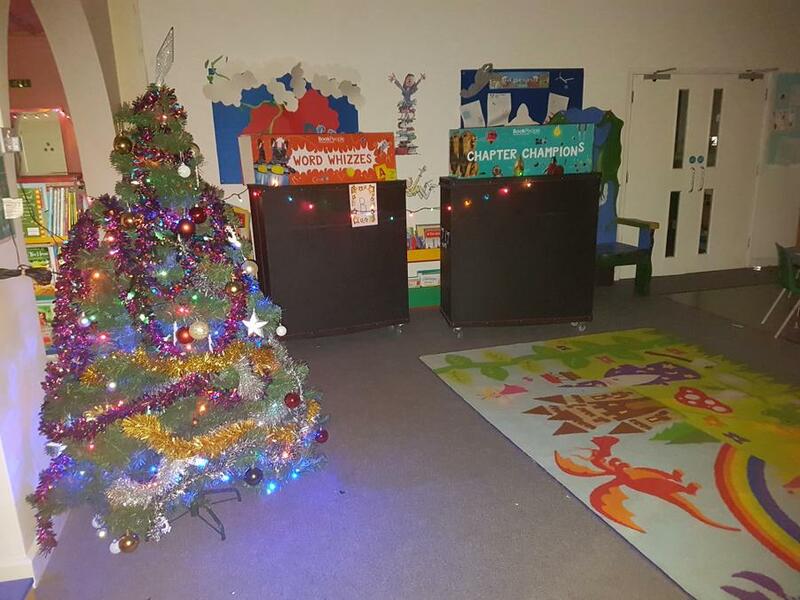 The children have loved seeing what the mischievous elves have been doing each day and were outraged with their behaviour! 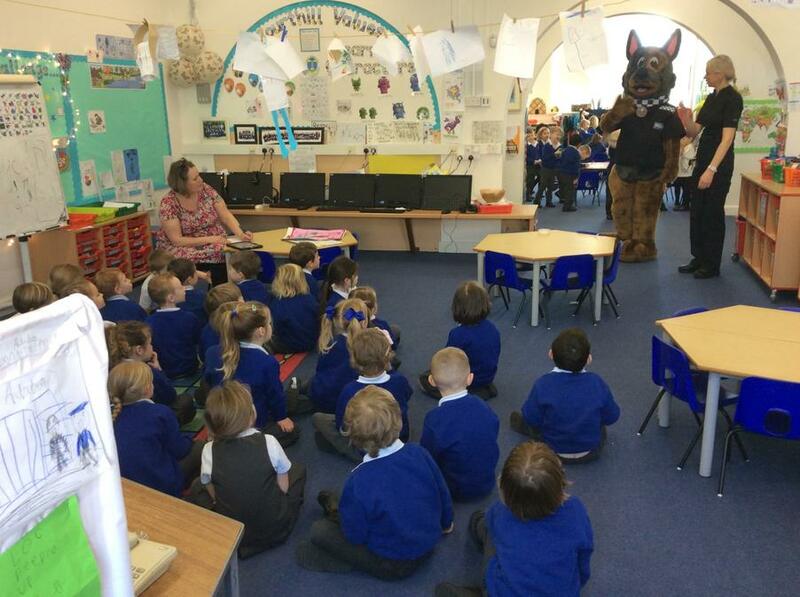 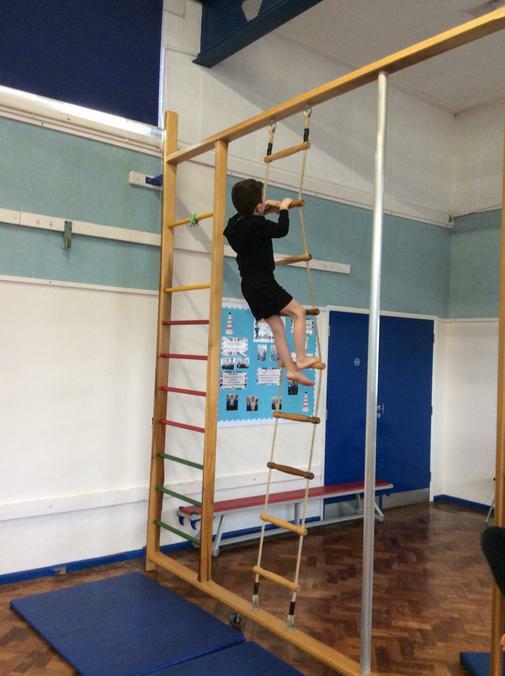 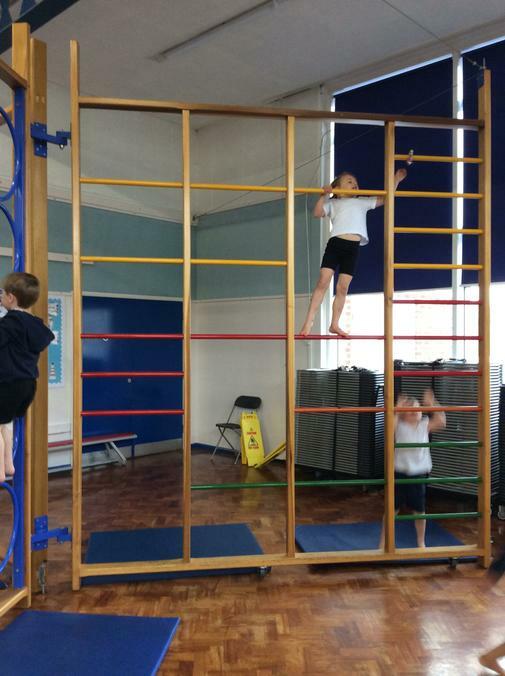 They had strong ideas about how they could make better choices and enjoyed showing them how to behave in school. 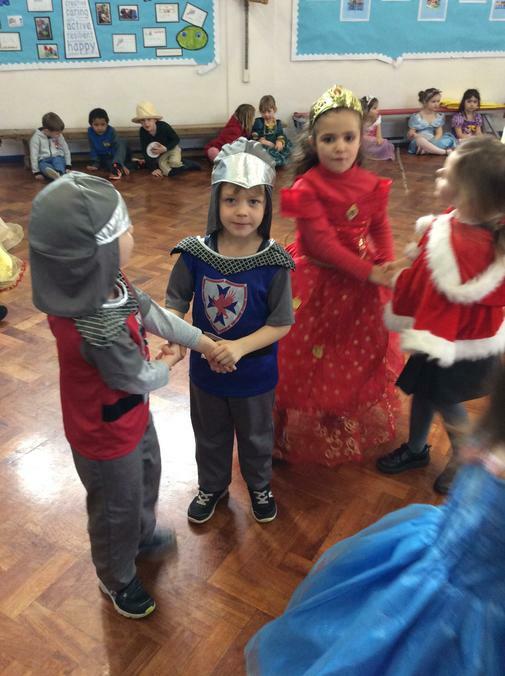 On Wednesday 12th and Thursday 13th December the Foundation children performed their Christmas Play ‘A Wriggly Nativity’ to their grown-ups. 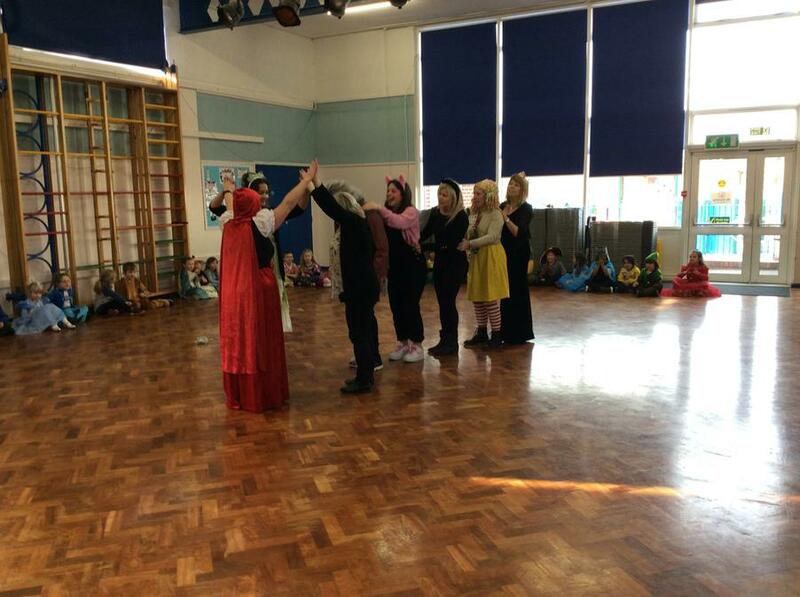 The children have worked exceptionally hard learning their lines and songs. 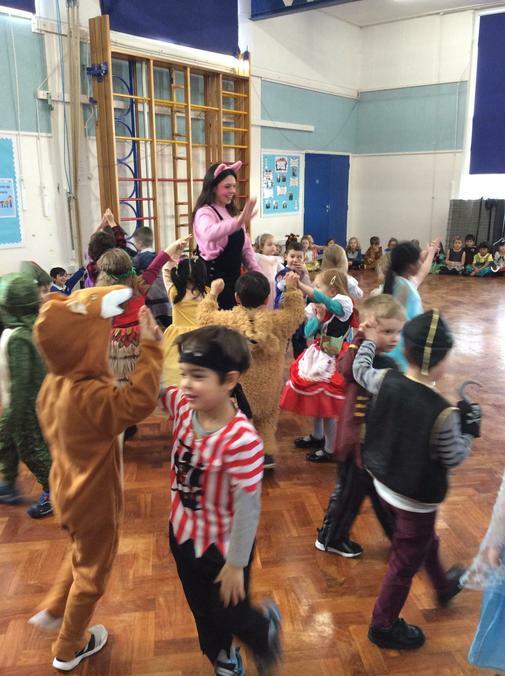 The children all had the opportunity to get on the stage and they sang their hearts out. 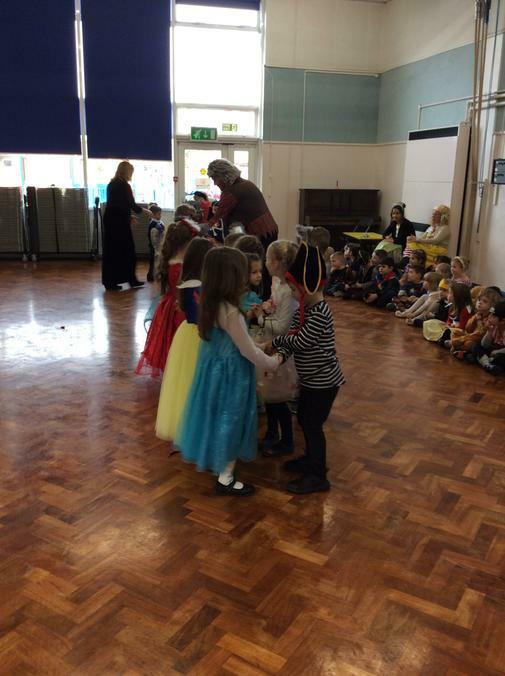 The audience and staff were so proud of them all! 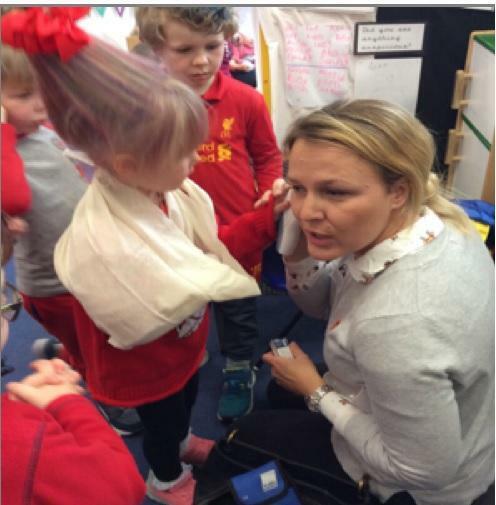 Thank you all for your support over the last couple of weeks. 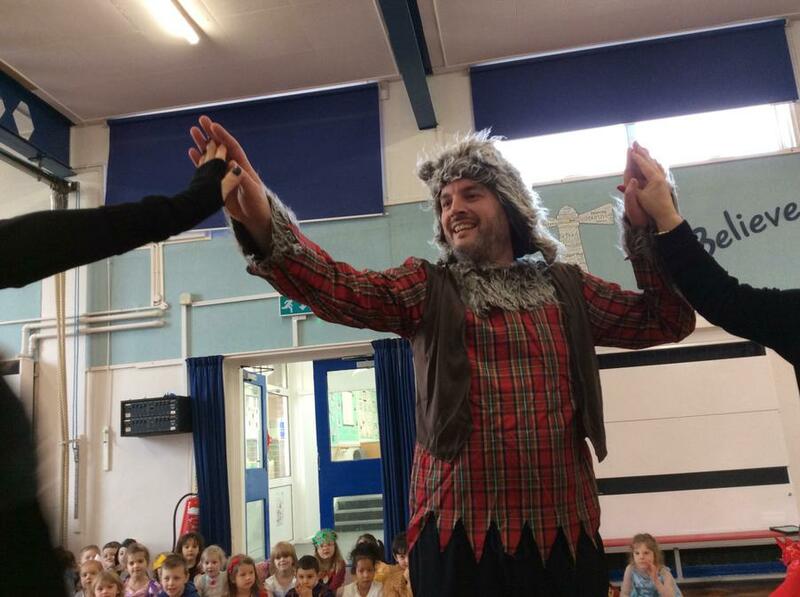 We hope you enjoyed the play as much as we did. 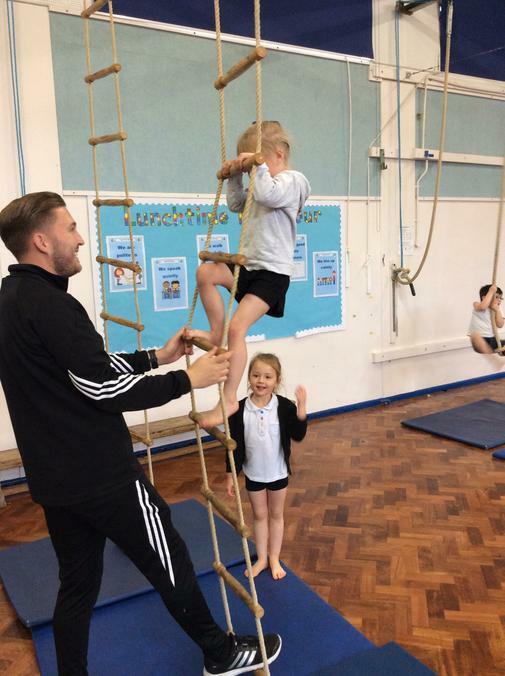 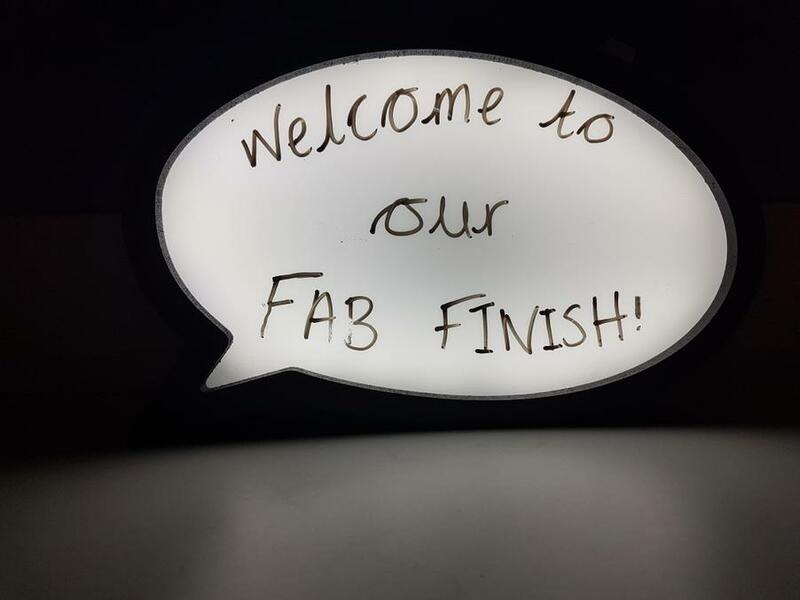 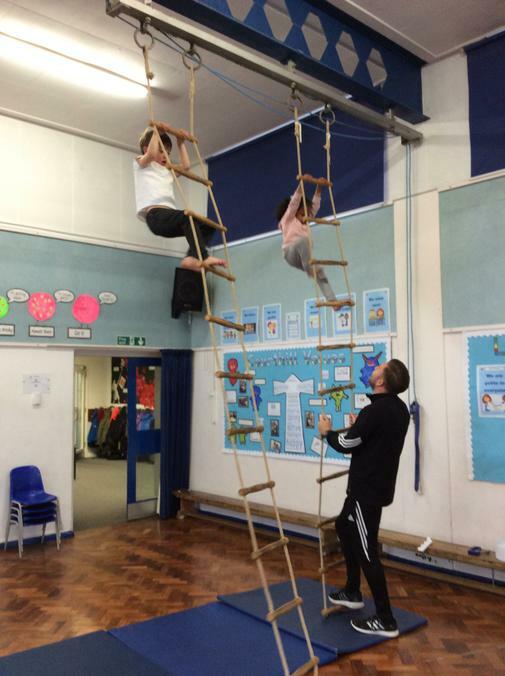 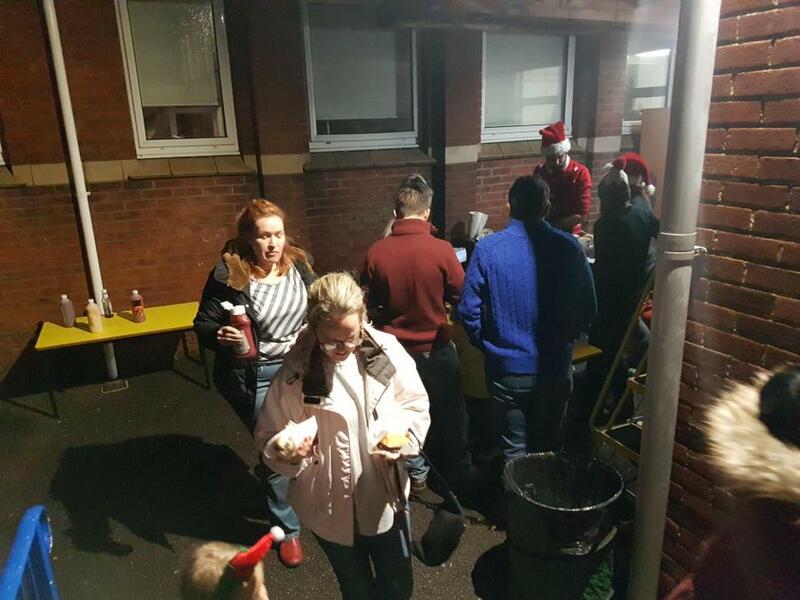 On Wednesday 5th December Foundation celebrated their fab finish for ‘Bright Sparks’. 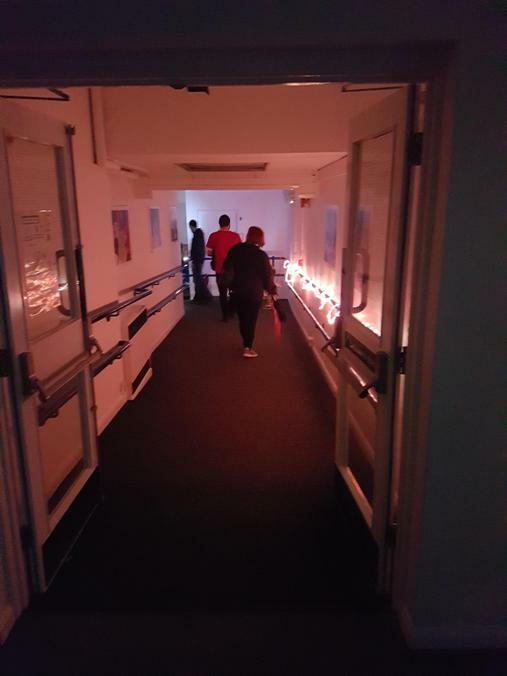 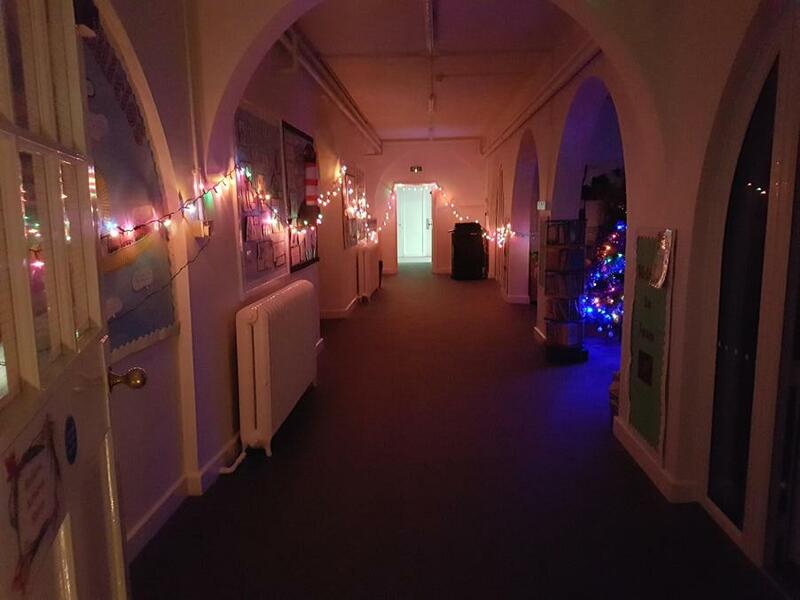 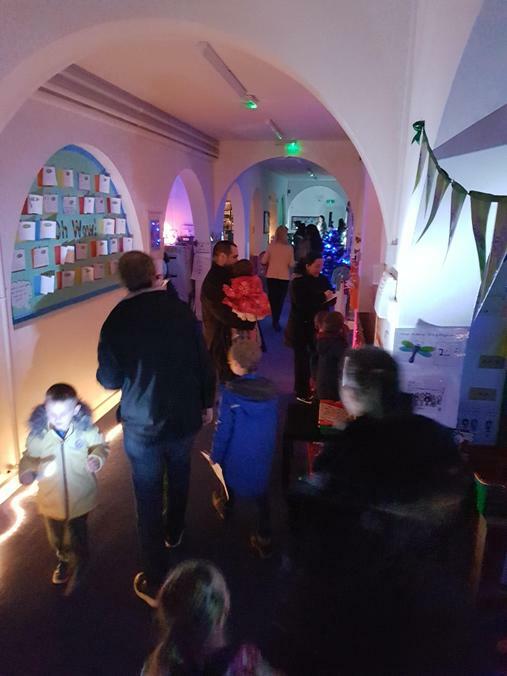 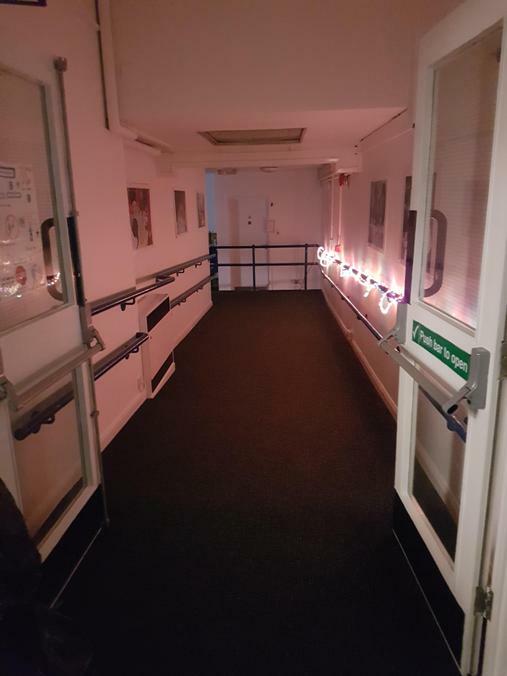 The school was plummeted in to darkness and lit up with various fairy lights. 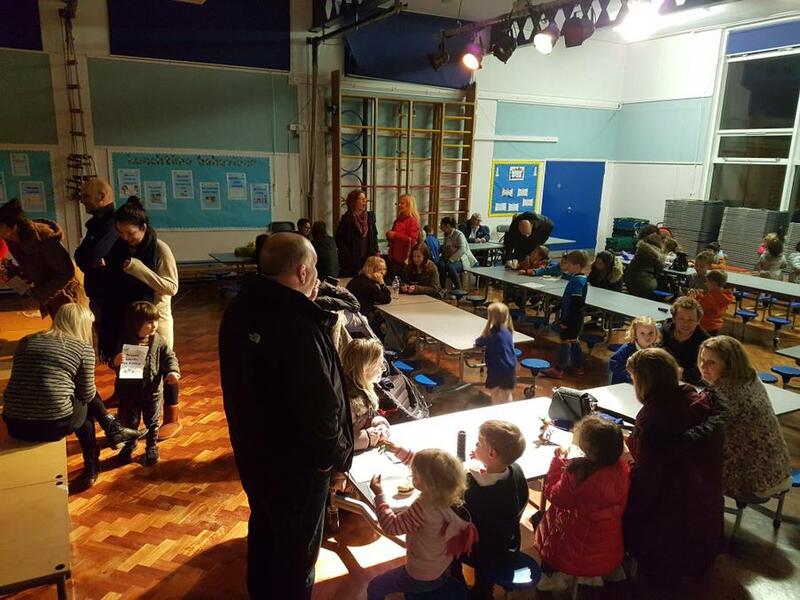 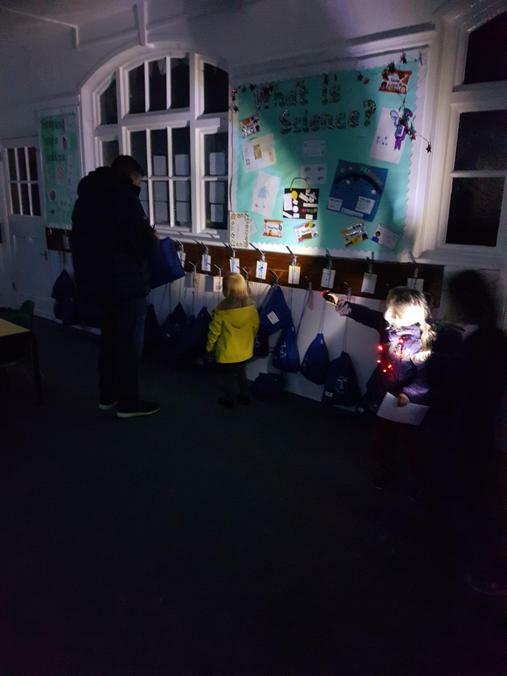 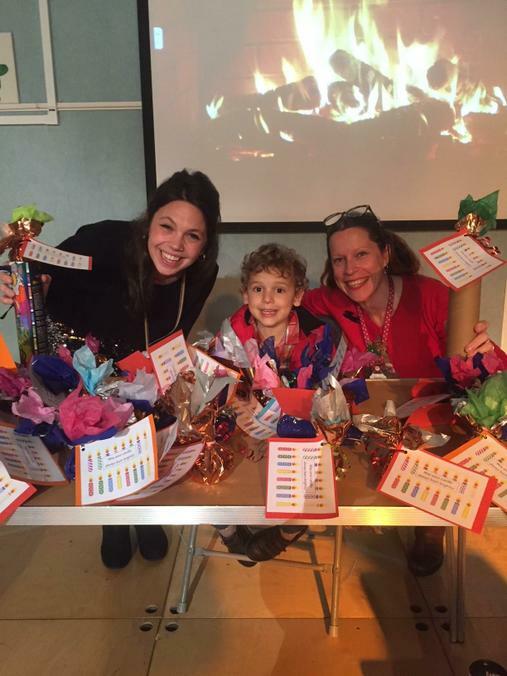 Families were invited to hunt for hidden letters using torches and glow sticks which spelt out a secret word! 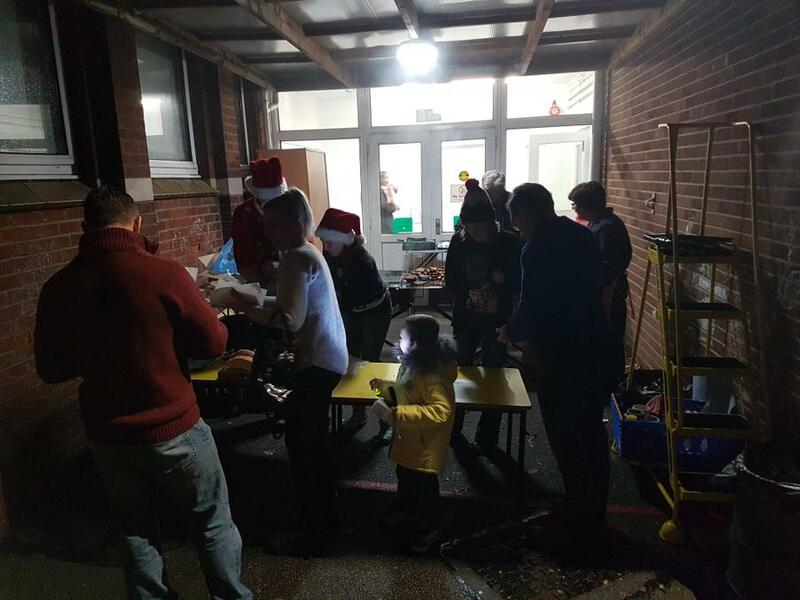 They then celebrated with an outdoor BBQ and opportunity to buy a handmade Diva Pot. 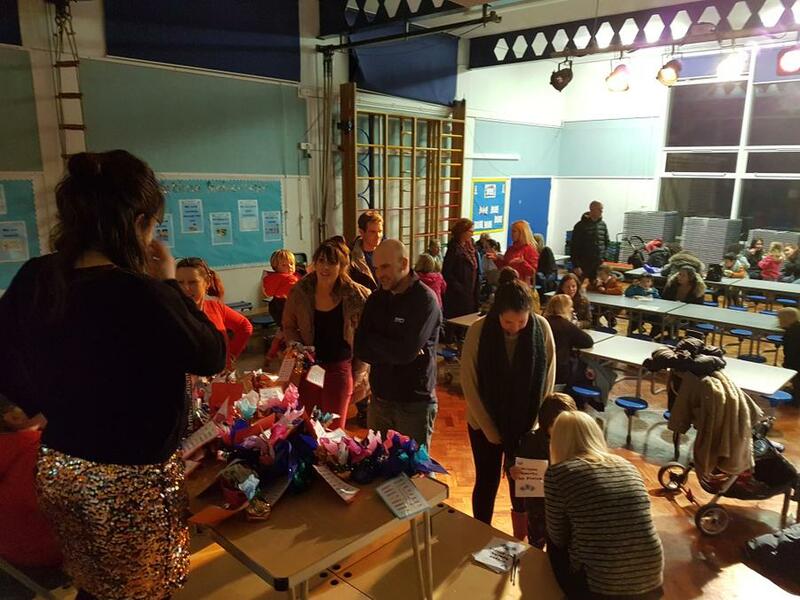 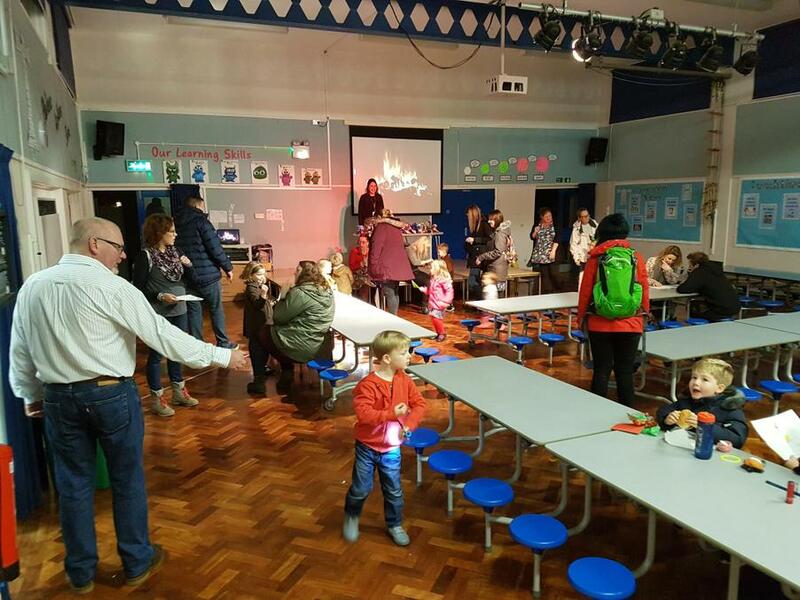 Thank you to everyone for coming, we raised an amazing £185 and every penny will go back to Foundation to buy new resources and equipment.